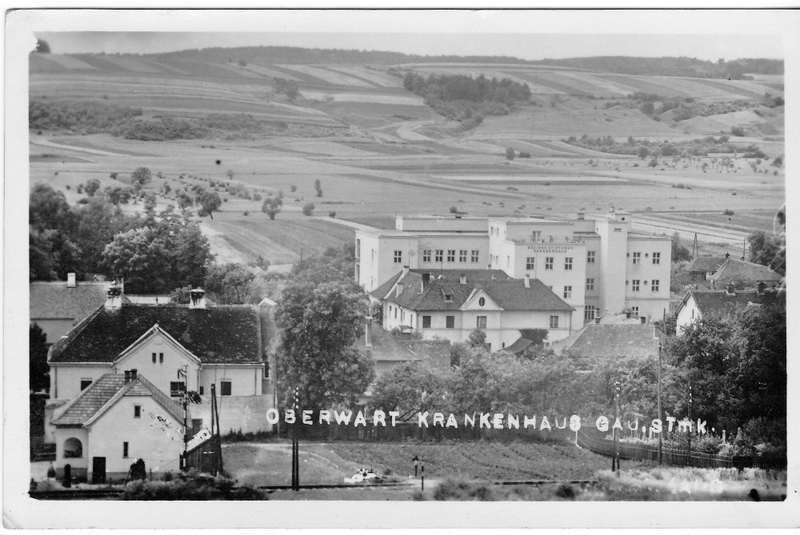 This site used to be the location of the Oberwart hospital. Once a symbol of modernity and progress, in the NS period it became a place of humiliation and contempt for human dignity: Inside this hospital, forced sterilizations and ‘racial examinations’ (‘Euthanasia reports’ and others) took place. As a result, people were excluded from society, robbed of their rights and often also their lives. This plaque is a station on the Oberwart Path of Commemoration and Education, symbolizing that a part of Oberwart's population is missing. Each plaque stands for men and women who once belonged to Oberwart's community and were expelled from it during the Nazi period.